Wipe Out – These Two Eyes! They make it look so natural. Like it’s effortless to paddle yourself into a wave at the precise moment it begins to pick up momentum; then use all of your upper body muscles to stand, whilst balancing yourself and shifting your weight to the right proportions. Include a few sharp turns, 360 degree twirls and a flip in the air to top it all off before riding face first onto the shore to greet thousands of spectators applauding you and taking your photo. The anticipation of who would be the 2012 Quiksilver Pro champion had been circulating in conversations on the Gold Coast for weeks. Kelly Slater, 11 time world champion, and at the ripe age of 40, was sensed to be the central cause of this. I read in Tracks, the official ASP (Association of Surf Professionals) tour guide that being able to say you’ve witnessed Kelly Slater surf is on the same par with saying you saw Ali fight. I’m unsure if this actually does carry that level of weight, however, I can at least say I saw it. Guess what though, he lost! Today was the last day of the Quiksilver Pro, stop one of the ASP World Tour, held at Snapper Rocks on the Gold Coast. The past two weeks have been leading up to this day, with competitions going on between men, women (Roxy Pro) and grommets (children). The unfortunate weather of yesterday had everyone wondering if the semi-finals and finals would get pushed back, but thankfully this afternoon was full of blissful sunshine and surf. Up until this morning the broadcasters would pepper Slater’s name into commentary, increasing the suspense amongst the crowd of when he would finally show. Loyal to their national surfers were the Aussies for big names like Taj Burrow, Joel Parkinson and Owen Wright along with Brazilians supporting Gabriel Medina and Adriano de Souza. Regardless of background though, no one would deny USA born Slater. 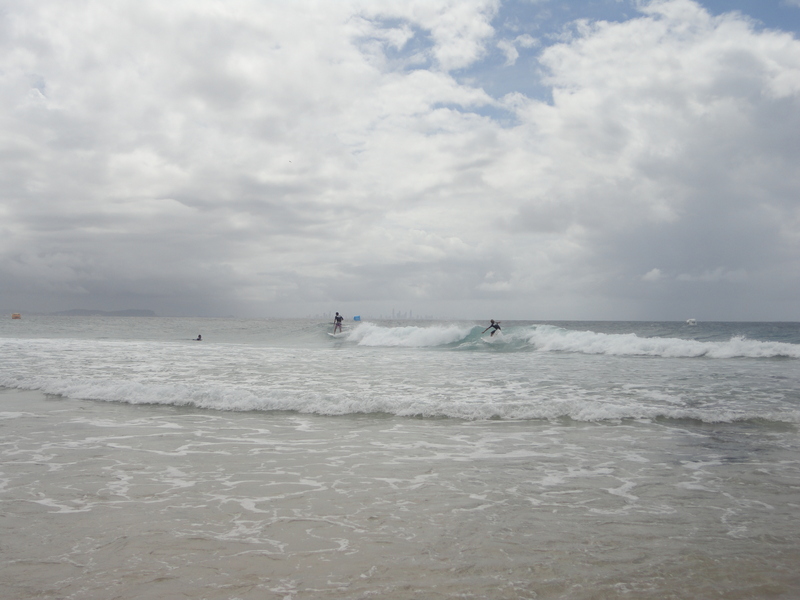 During the Pro the usually quiet beach town of Coolangatta becomes the hot ticket. 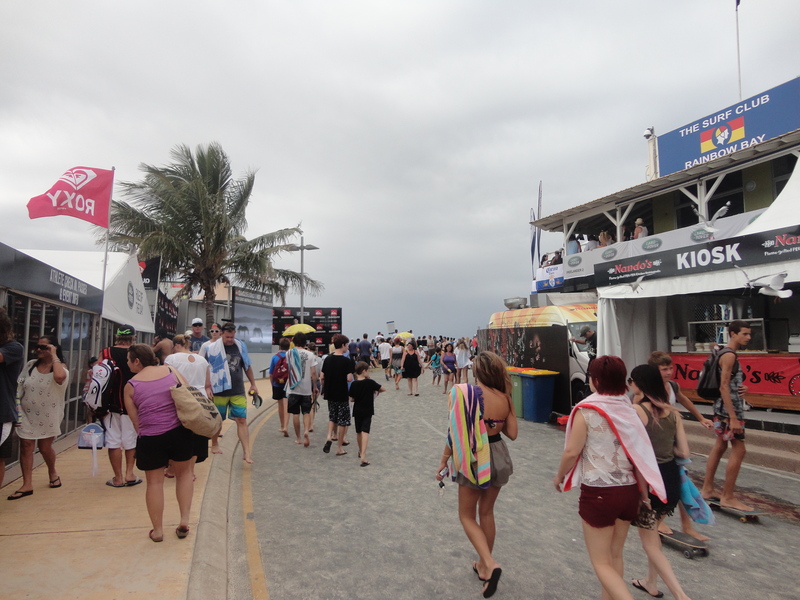 Pop up stores line the beach along Snapper Rocks to include Quiksilver and Roxy merch, food stalls sell healthy snacks, and marketing sponsorships are evident in every crevice. During the evening those working behind the scenes come out to play at trendy nightspots like Komune and Neverland. Another reason Coolly becomes a hot ticket? Because literally everyone is so damn hot! Beautiful, blond, and toned. Holy mother. Yeah, so when my feet were sinking into the sand and I wanted to rest I had plenty to rest my eyes on. Apparently surfing isn’t as effortless as I suspected. Whew. 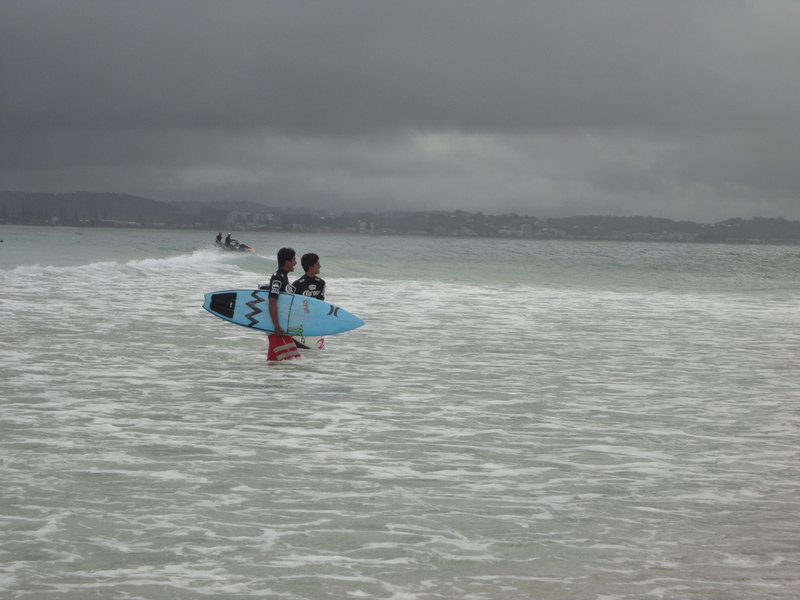 I still refuse to go in the water past my knees, so my days of actually attempting to surf are limited. 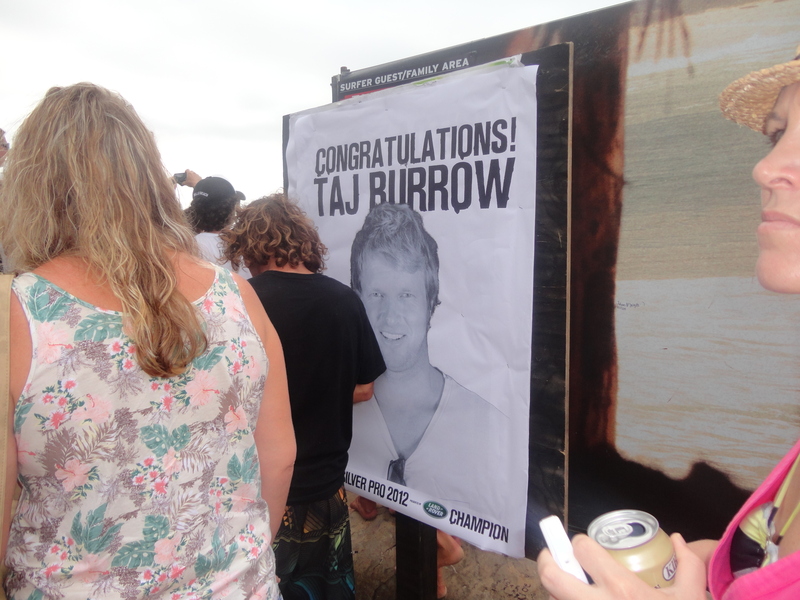 But, I would like to enviously congratulate Taj Burrow who just this afternoon received a check for $75,000 as the winner of the Quiksilver Pro. Taj has never won a world title, however, this could be his year.